~~Cover Reveal~~ GIVEAWAY. I'm proud to present the cover for my middle-grade children's novel, Polly. If you have kids, they're going to love this eco-adventure. 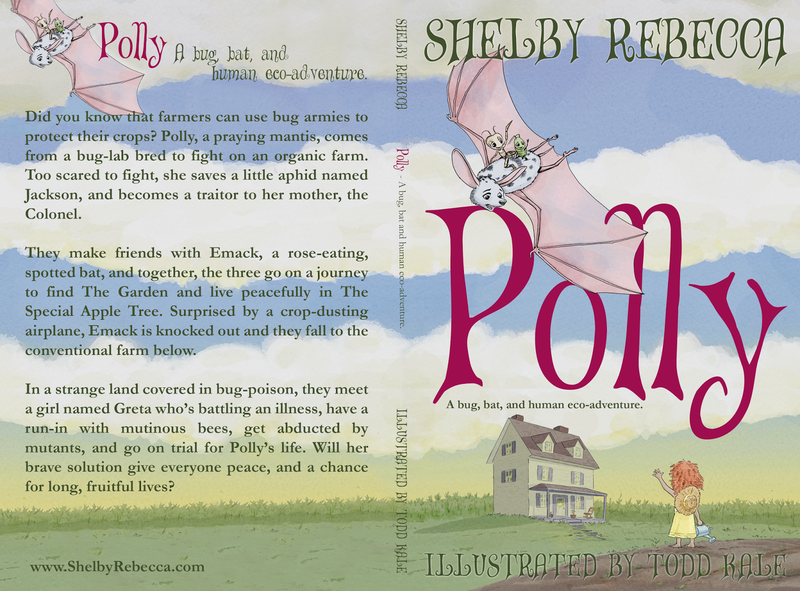 Please tag a parent or share the Facebook picture to enter to win one of three ARC ebook versions of Polly, a Bug, Bat, and Human Eco-Adventure. "Did you know that farmers can use bug armies to protect their crops? Polly, a praying mantis, comes from a bug-lab bred to fight on an organic farm. Too scared to fight, she saves a little aphid named Jackson, and becomes a traitor to her mother, the colonel. They make friends with Emack, a rose-eating, spotted bat, and together, the three go on a journey to find The Garden and live peacefully in The Special Apple Tree. Surprised by a crop-dusting airplane, Emack is knocked out and they fall to the conventional farm below. In a strange land covered in bug-poison, they meet a girl named Greta who’s battling an illness, have a run-in with mutinous bees, get abducted by mutants, and go on trial for Polly’s life. Will her brave solution give everyone peace, and a chance for long, fruitful lives?" This book is appropriate for children who are sevento twelve-years-old. Story Copyright © 2014 Shelby Rebecca. All rights reserved. Illustrations Copyright © 2014 by Todd Kale. All rights reserved. Facebook is not responsible for this giveaway, the outcome, or the prizes. Ebooks will be sent to winners as soon as the files are available (back from the formatter). You must respond within a posted time frame and provide a valid email address. Thanks for sharing! 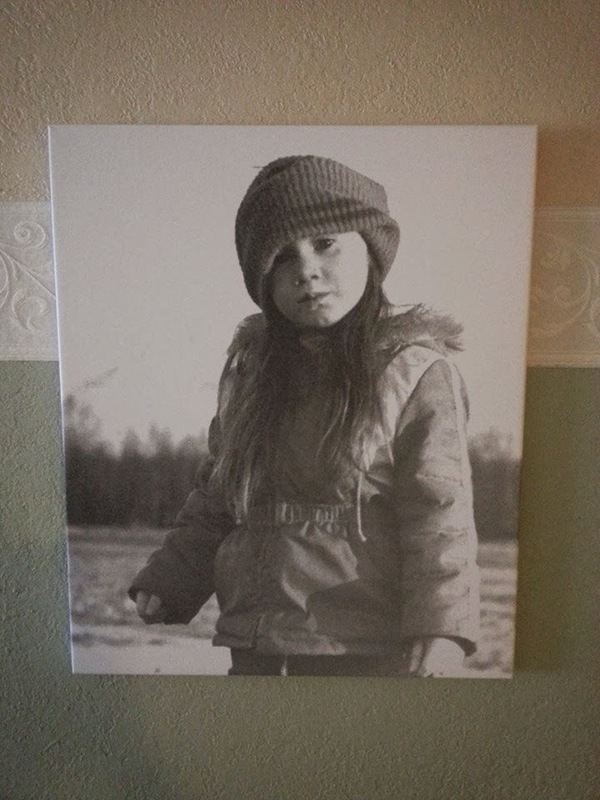 It's a picture he took of me in 1980. I was three-years old. I actually remember him taking it. We'd driven out to see the five-acres my parents had just bought in Wasilla, Alaska. I was running around in my coat and hat and I'd just run on top of a small hill when I remember Wayne coming up to me, yelling, "Your dog died!" snapping a picture, and running off with a laugh hanging in the air behind him. The next thing I remember is seeing the picture hanging up with an award stuck to the front, I think, at the local grocery store in the long hallway that connected it to another store. (A tiny Alaskan mall). It's the same hallway I remember walking down to meet Santa once. It's strange how memories work. I can't remember everything. Just little pieces of memories mixed with feelings. But I'm ever so grateful to him for taking the picture and then having it blown up for me to hang on my wall. I can't wait for visitors to ask me about it.